Secret details about Salinger, including his favorite movie and his pseudonyms. 1. His favorite movie is The Lost Weekend. 2. Jeffrey Katzenberg attempted to buy the film rights for Catcher in the Rye (with the promise that Spielberg would direct). So did Harvey Weinstein. Both of their offers weren’t even passed onto Salinger. 4. Salinger destroyed a telephone enhancer in a rage. 5. His house caught on fire several years ago, but has been rebuilt. 6. He travels under several pseudonyms, but always uses the first name Jerry to help his wife out. 7. There is no wealth of manuscripts that he’s sitting on for posthumous publication. Now if only Conan O’Brien can get Salinger to appear for “Salinger’s…Secrets,” we’d be truly set. I wonder if similar memoirists will blow the reclusive covers of Pynchon and DeLillo in a decade or so. * — Sadly, The New York Post has been remiss about preserving its online content. This came from a Page Six item circa December 3, 2003. But Web Archive only preserved this rapidly updated gossip column in monthly spurts. 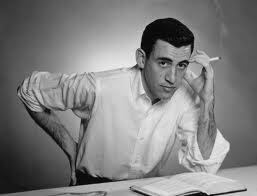 Salinger is now dead. But there is a forthcoming Salinger biography coming in September 2013 from David Shields and Shane Salerno. As for Pynchon and DeLillo, there hasn’t been nearly as much prying into their private selves as I anticipated.